Baxter Real Estate are delighted to present to the market, this 4-bedroom/3-bathroom, semi-detached family home, which occupies an area of approximately 111 sq.m./1,195 sq.ft.. On entering, you are greeted by a spacious hallway with semi-solid red oak flooring, ceiling coving and a ceiling rose. This leads to a living room with a feature gas fireplace, a semi-solid red oak floor, coving and ceiling rose, and a large bay window. The living room leads, via French doors, to the dining room, which also features a semi-solid red oak floor. 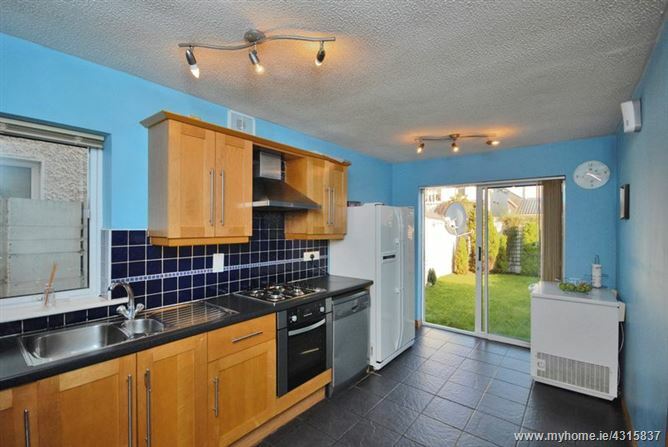 The kitchen/breakfast room has a black slate tile floor and a blue ceramic tile splashback. There are ample Maple units, and sliding patio doors which lead to a sunny, south-east facing walled rear garden and patio area. A utility room, with black slate floor tiles, and a guest w.c. with a semi-solid, red oak floor, complete the ground floor. At first-floor level, there are 4 bedrooms, all of which have built-in wardrobes. 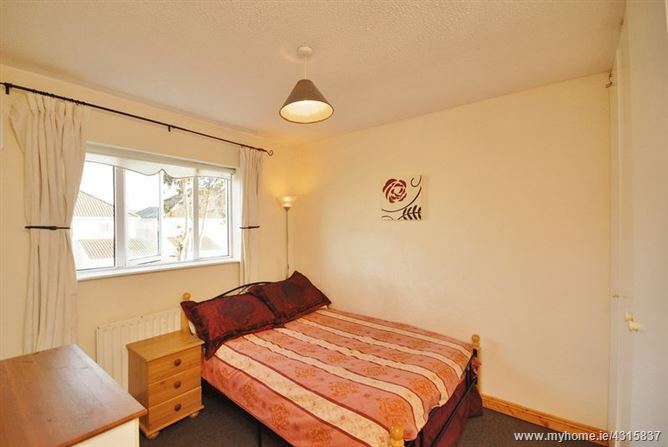 Three of the bedrooms have carpeted floors, whilst the master bedroom features a laminate floor. 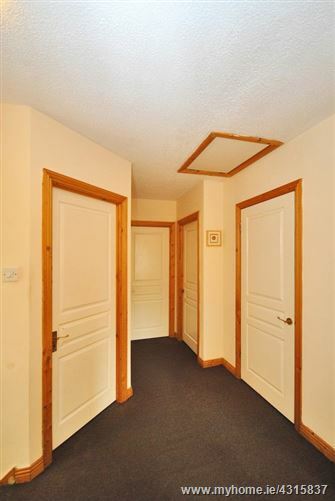 The master bedroom is further enhanced by having a large bay window, and an en-suite bathroom, which has a tiled floor and shower cubicle, and a skylight providing natural light. A family bathroom, which has a tiled floor and bath surround, and recessed lighting, completes the accommodation. The attic, which has lighting, is accessed via a fitted ladder. 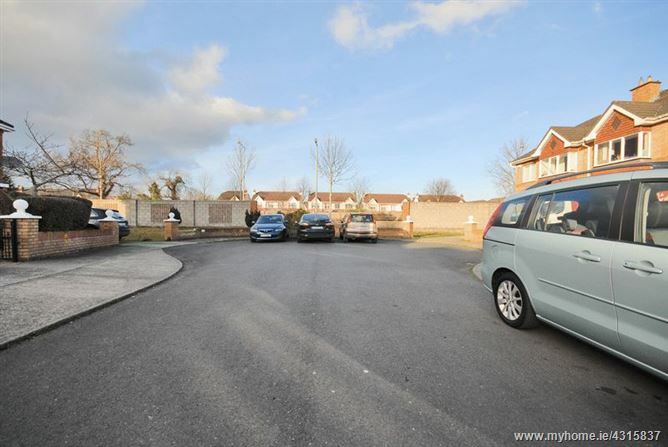 This family home has a driveway to the front, which provides off-street parking for two cars and side access to the walled rear garden. 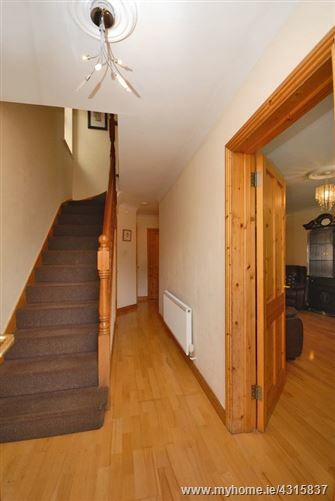 This home is ideally located on a quiet cul-de-sac, in a highly sought-after residential area. 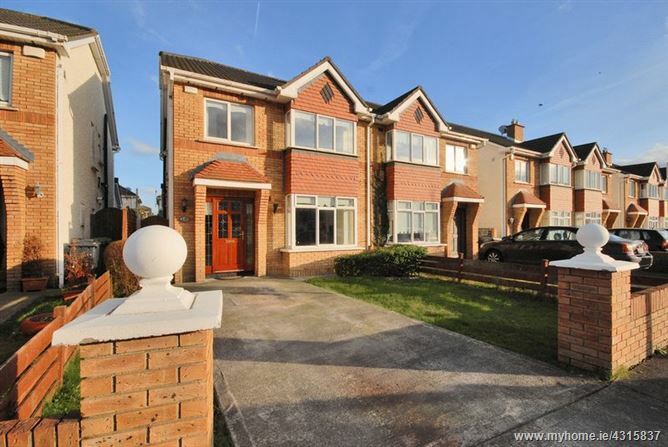 It is close to the villages of Blanchardstown, Clonsilla and Ongar, and therefore numerous amenities and facilities, such as Connolly Hospital, cafs, restaurants, schools and shops, including Blanchardstown Shopping Centre. 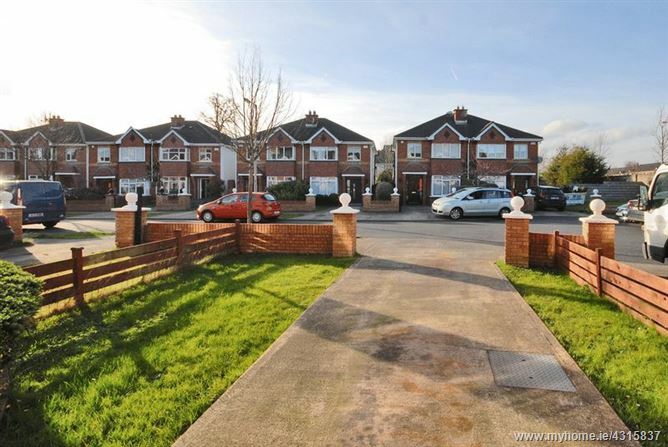 The N3 is only a short drive away and provides access to the M50, Dublin city centre and the national road network. 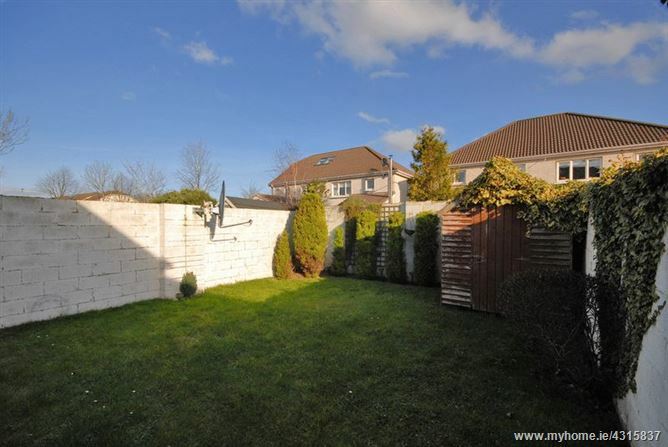 The area is well-serviced by Dublin Bus, and Clonsilla train station, which provides a regular service to the city centre on the Maynooth line, is only a short 10-minute walk away. This rail service also links with the LUAS. Please note that all information, including areas, is given for guidance purposes only. We have not tested any appliances and all parties must undertake their own investigation into the condition of these appliances and to all other information provided. 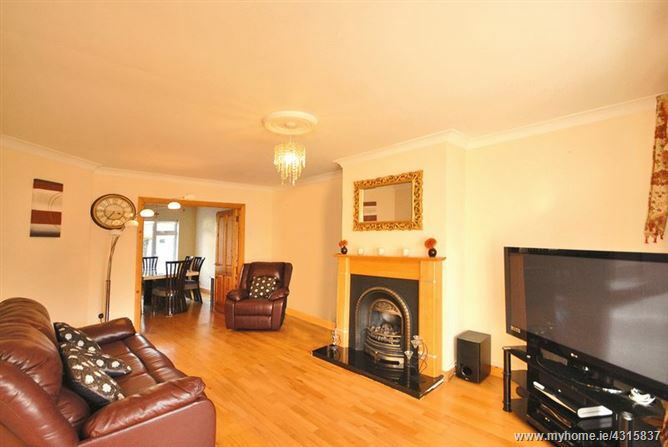 Close to all local amenities, including Blanchardstown Shopping Centre. 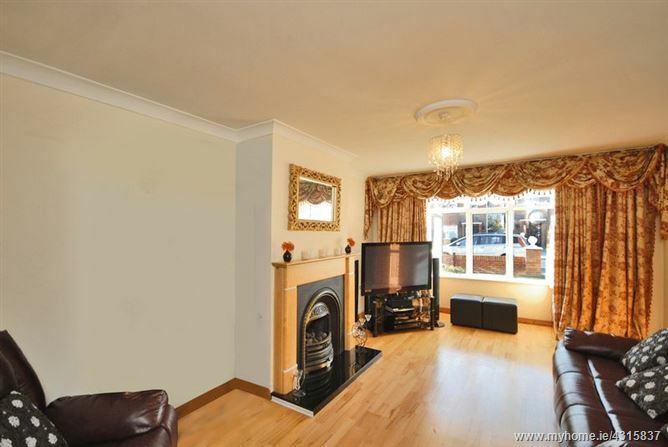 Living Room - 17' 7'' x 11' 11'' (5.35m x 3.64m) - Semi-solid red oak floor, large bay window, coving and ceiling rose, and a feature gas fireplace. French doors opening to the dining room. Dining Room - 12' 8'' x 9' 3'' (3.87m x 2.81m) - Semi-solid red oak floor. 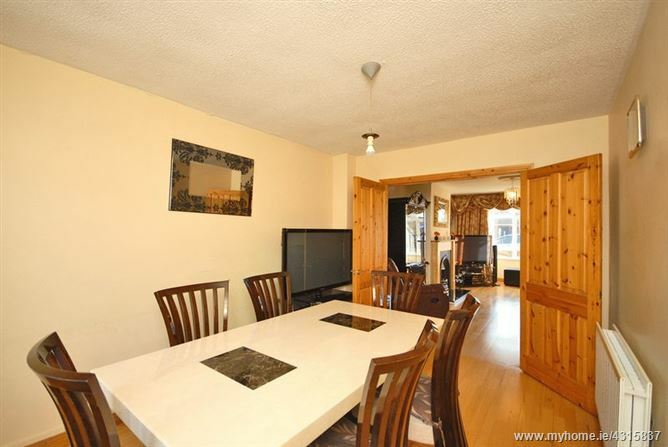 Kitchen/Breakfast Room - 16' 1'' x 8' 5'' (4.91m x 2.56m) - Ample Maple wall and floor units. Black slate tiled floor and a blue ceramic splashback. 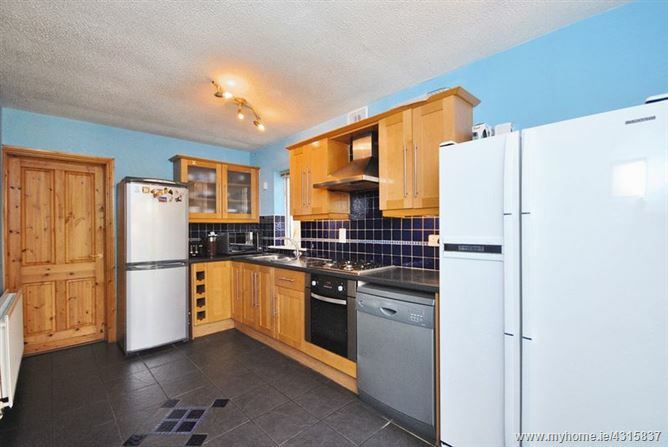 Integrated electric oven and gas hob, dishwasher and fridge/freezer. Sliding patio doors leading to a south-east facing rear garden. Utility room - 4' 7'' x 4' 0'' (1.40m x 1.21m) - Plumbed for washing machine, black slate tiled floor. Guest w.c. - 6' 2'' x 5' 7'' (1.87m x 1.70m) - W.c., w.h.b. and a semi-solid red oak floor. 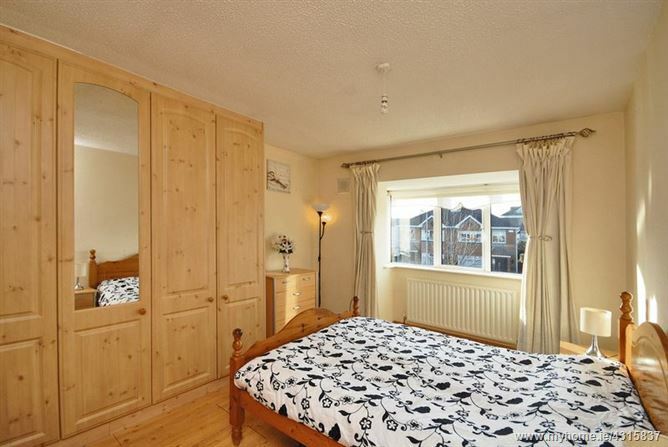 Master bedroom - 13' 6'' x 10' 8'' (4.11m x 3.25m) - Built-in wardrobes, a laminate floor and a large bay window. 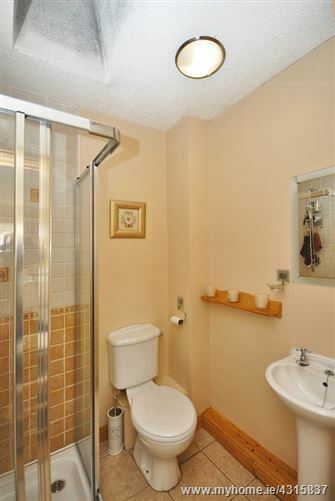 En-suite - 5' 8'' x 5' 1'' (1.73m x 1.56m) - W.c., w.h.b., a tiled floor and shower cubicle, and a skylight. 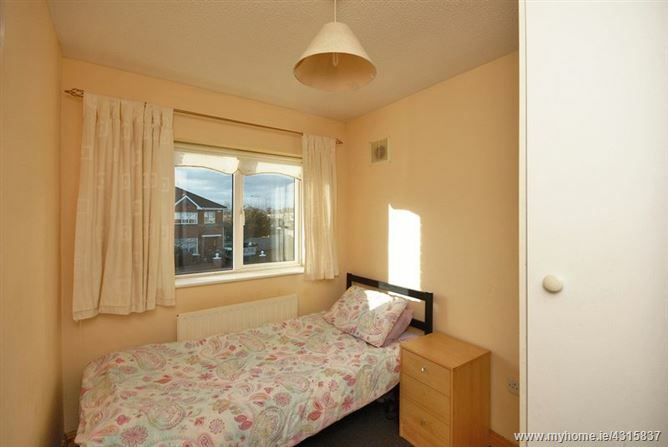 Bedroom 2 - 11' 5'' x 8' 11'' (3.47m x 2.71m) - Built-in wardrobes and a carpeted floor. 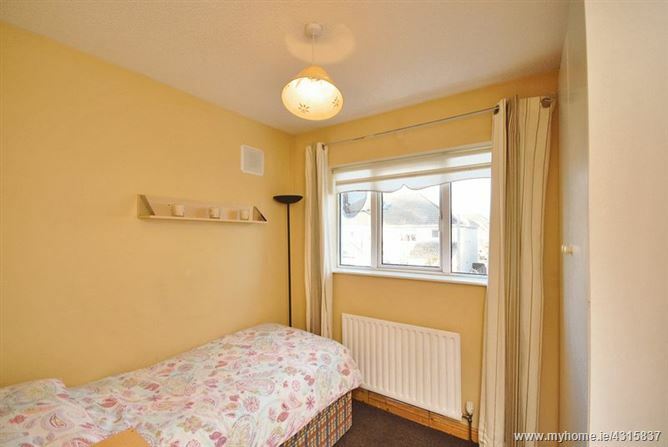 Bedroom 3 - 9' 0'' x 7' 7'' (2.74m x 2.32m) - Built-in wardrobes and a carpeted floor. 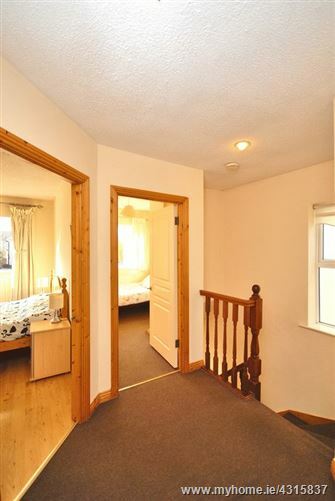 Bedroom 4 - 10' 4'' x 7' 3'' (3.16m x 2.21m) - Built-in wardrobes and a carpeted floor. 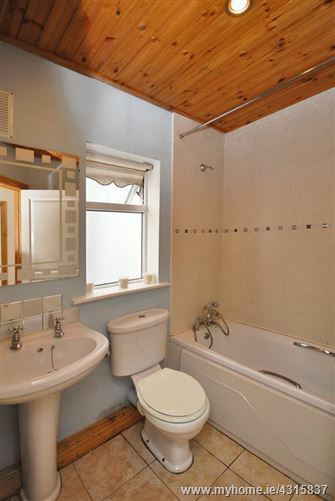 Family Bathroom - 6' 9'' x 5' 7'' (2.05m x 1.70m) - Tiled floor and bath surround, recessed lighting.